The scarf is 21 x 21 square and reminds me of Thanksgiving. It's got dots of orange, beiges and browns. Really pretty. 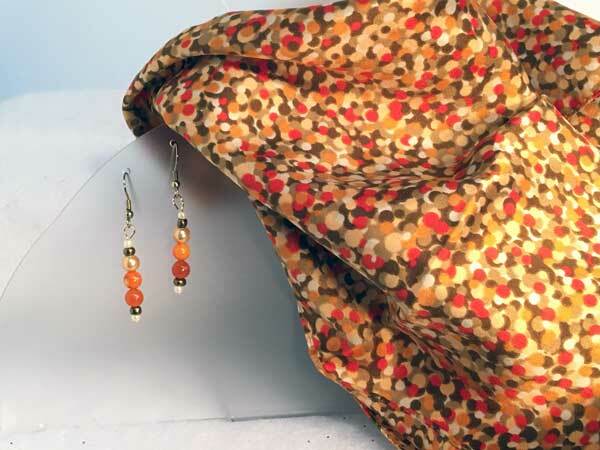 The coordinating earrings measure 1.25 inches from the finding loop and are made up of rounds beads in gold, orange and rust with bronze seed beads and tiny pearl beads.